The Henchman is one of the main antagonists in the game. He is 1st seen on New Vulcan and is the Gorn who steals the Helios device. Second in command of this particular Gorn Armada, the Henchman controls squadrons of initiates and warriors and take orders directly from the Commander. The Henchman’s weapon of choice is the Pillager, but his real danger is his ability to cloak. An 8-foot mutated Gorn, this variation was designed as an homage to The Original Series’ one-on-one battle between Kirk and the Gorn. He will make his appearance in a boss battle that will take place in the Gorn Trials level. The Champion is bigger and burlier than the average Gorn due to his rare birth defects. Scouts are the long-range specialists, their sniper rifles doing massive damage when a round connects with its target. Scouts do not take cover, but have two unique abilities key to their success as the silent killers of the Gorn army: Scouts can walk on walls and have the ability to camouflage so they blend in with their background. 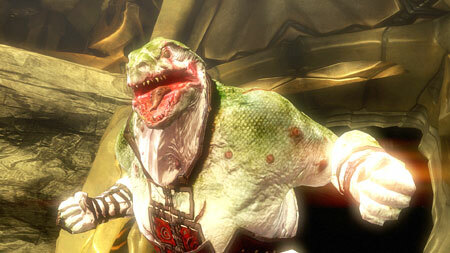 The Brute is one of the fiercest, most dangerous Gorn in close quarters. Big and heavily armored, Brutes aren't evolved enough to use weapons, resorting to their natural weapons of claws and charging attacks to devastate their enemies. Brutes charge through cover, destroying it and sending anyone behind that cover flying backward. 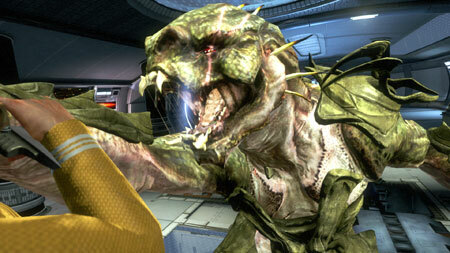 The Brute has a large amount of hit points and is most heavily armored in the front. A Brute by himself is tough. Two Brutes are a challenge. 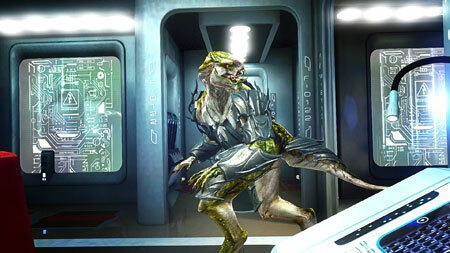 Brutes in combination with other enemies represent climatic battles that will be among the most difficult in the game. The Gorn Rusher is the least evolved of the “intelligent” Gorn. 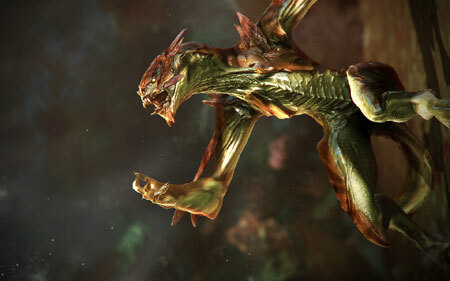 They don't use weapons and move on all fours, making them very fast and agile. 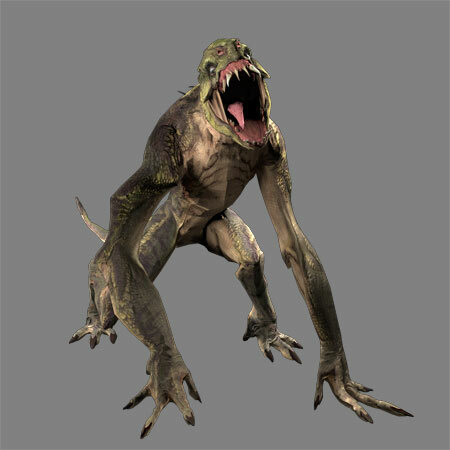 Rushers charge directly at enemies, leaping into the air and dragging them to the ground to bite and claw them to death. Gorn Rushers are weak and can't withstand much damage before being killed.